CAP Services welcomes fresh faces to leadership team – CAP Services Inc.
CAP Services added new staff recently. Jason Rickstad was named CAP’s Deputy Chief Financial Officer and Mary Alice Priebe is CAP’s new Assistant Director of Human Resources. Both are based out of CAP’s Stevens Point corporate headquarters. 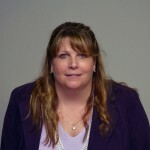 Rickstad supports CAP’s Chief Financial Officer Susan Henry in the management of the agency’s financial functions. His responsibilities include leadership in CAP’s financial operations, 401K, compliance and procurement. Rickstad’s previous experience includes senior accounting positions with Graebel Moving and Workplace Solutions, Saturn of Eau Claire, and Fleming Companies. 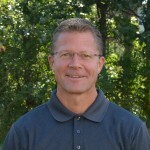 He holds a degree in Business Administration from the University of Wisconsin-Eau Claire. Priebe is responsible for administering and supervising human resource programs within CAP. Priebe’s professional experience includes management and supervisory positions with OptumRX, Security Health Plan, WPS Insurance, and Metlife Financial Services. She holds a bachelor’s degree in Business Management and a master’s degree in Business Administration – Human Resources, both from Upper Iowa University.